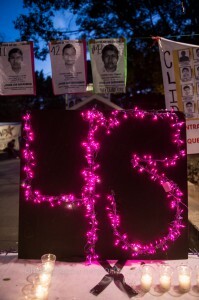 In Oaxaca, the number is everywhere – 43. 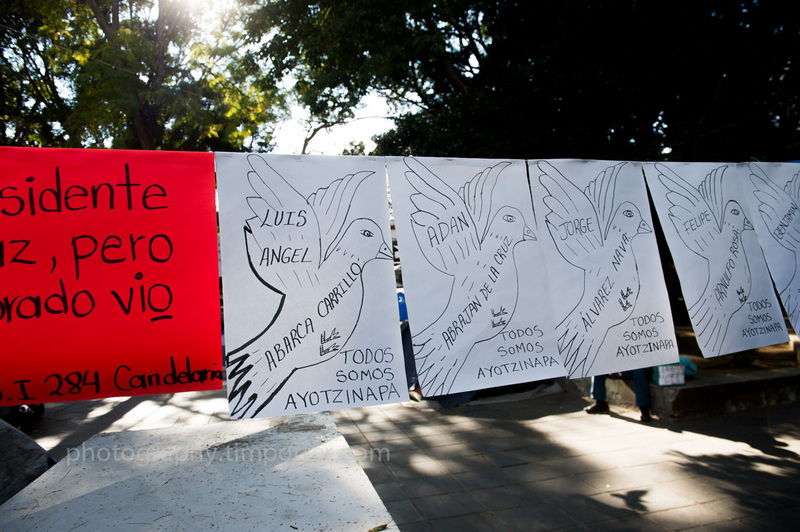 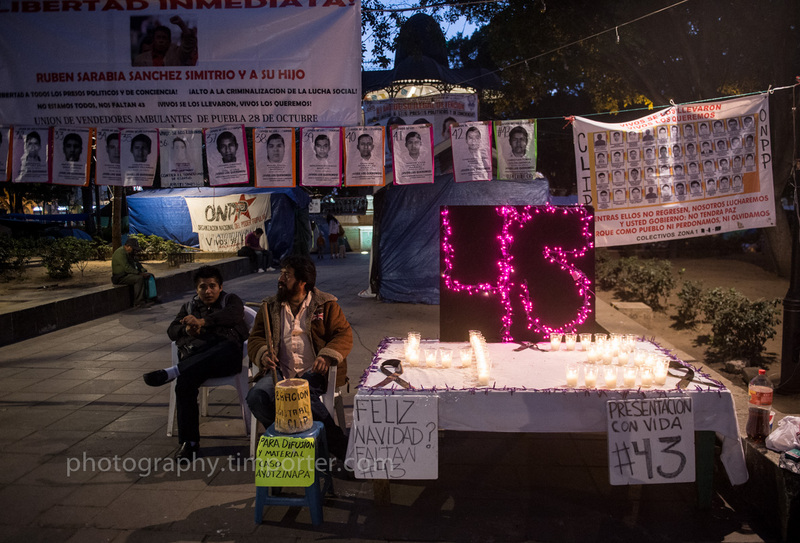 As are the words – Ayotzinapa, desaparecidos, justicia. 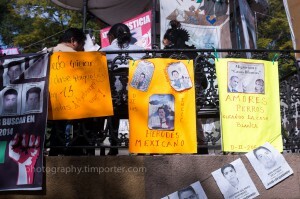 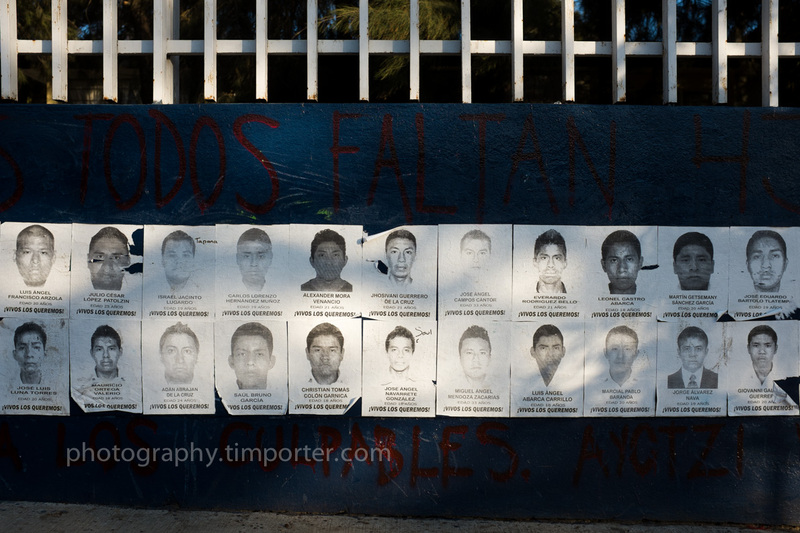 And the faces – Jose, Julio, Luis, Carlos and more, all young men, all dead, all still missing. 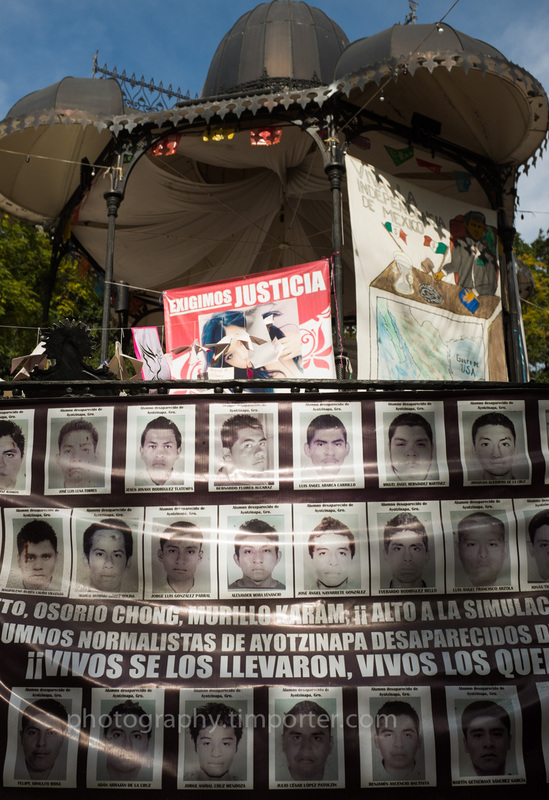 The memory of the murdered students of Ayotzinapa is inescapable. 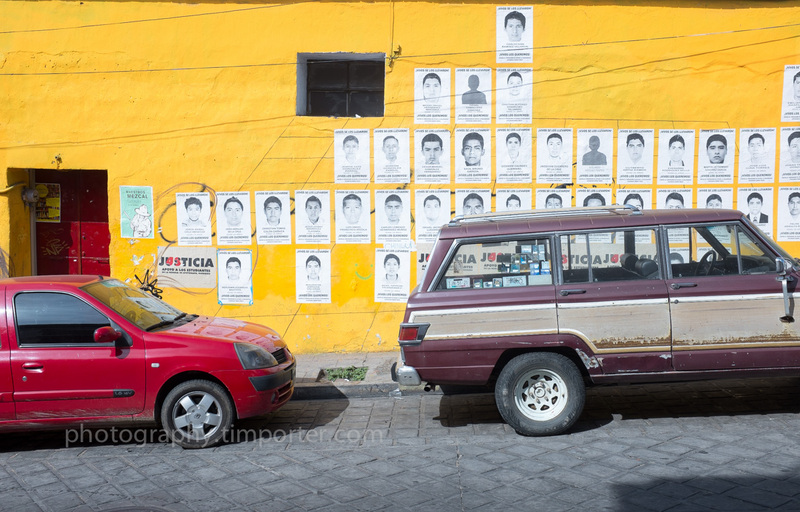 Their faces stare out from posters plastered to walls. 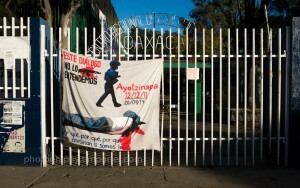 Banners hang from every public school denouncing their deaths. Arcing strands of black graffiti damn the government and demand answers. 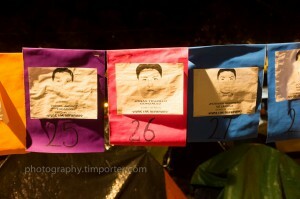 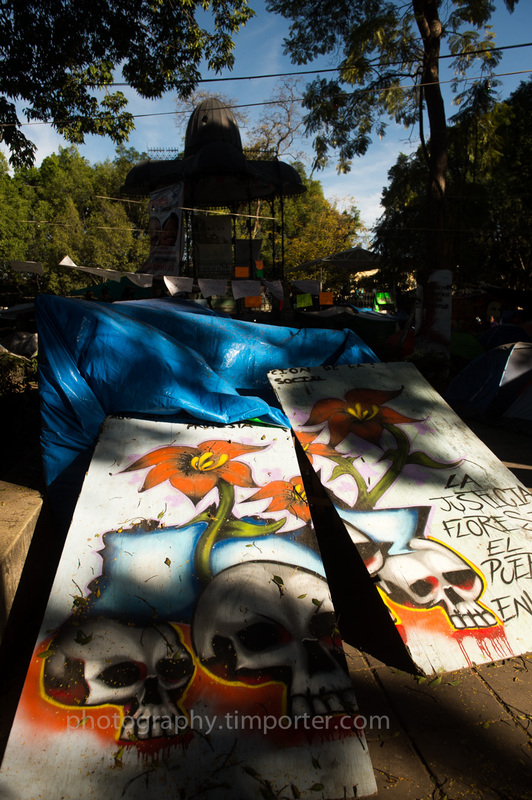 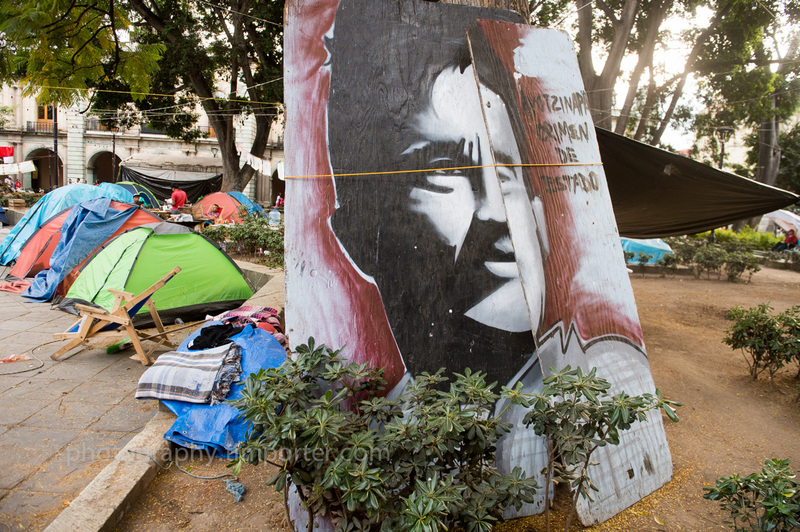 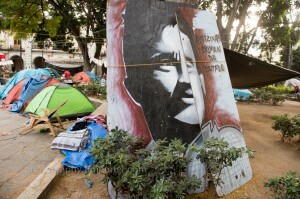 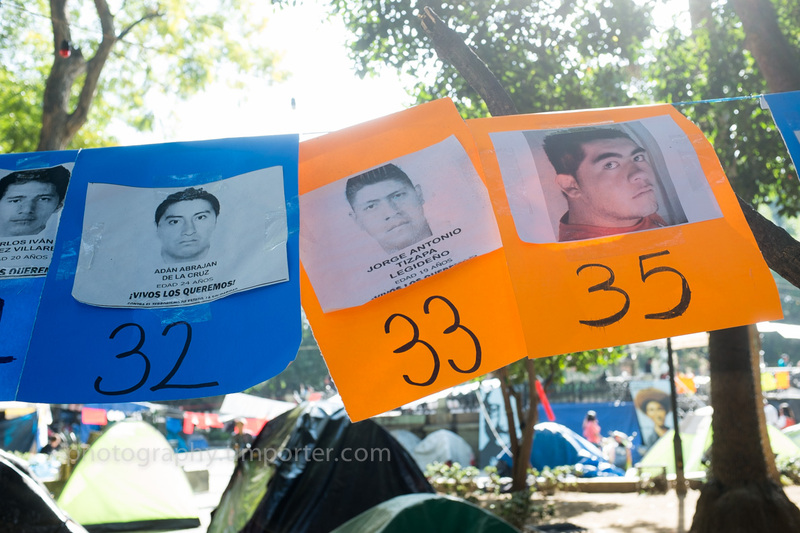 In the zocalo, the city’s social heart, the faces of the victims hang from long strands of colorful construction paper, mixing with the Christmas lights and the blue tarps and orange and green tents of the unionized teachers who have lived in the square for months and have now incorporated the students of Ayotzinapa – who were studying education – into their grievances. 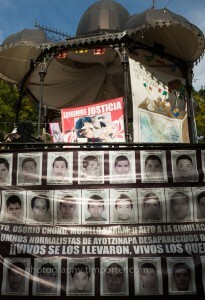 The effect is cartoonish, but terribly sad. 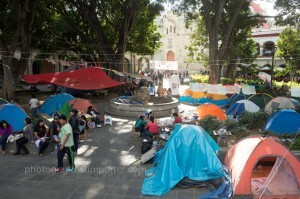 Passersby ignore the signs and walk past the tents. 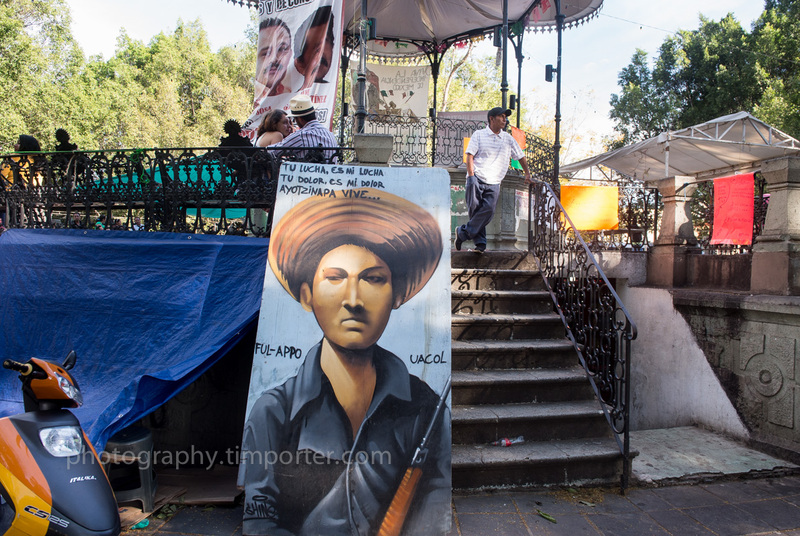 The shoeshine men buff boots beneath silent, staring faces. 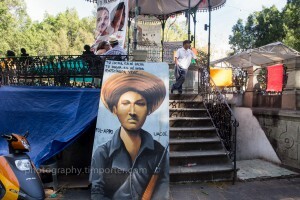 Mariachis play. 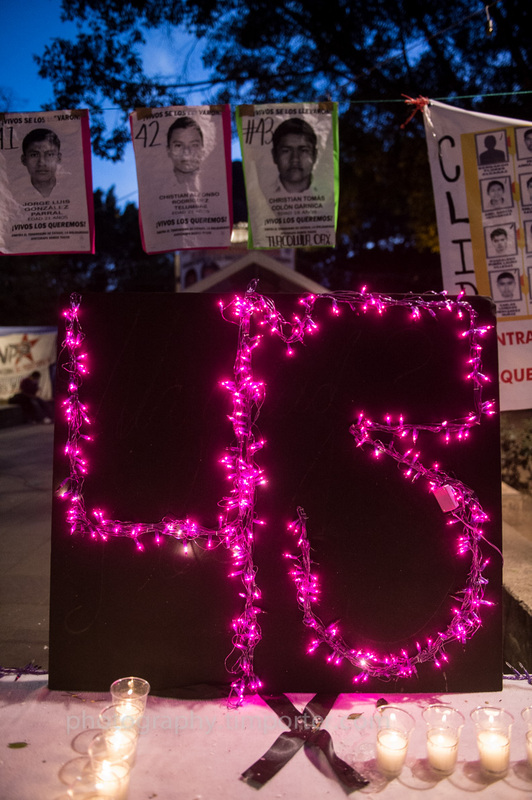 Life goes on – for all but the 43. They are Mexico’s sordid past. 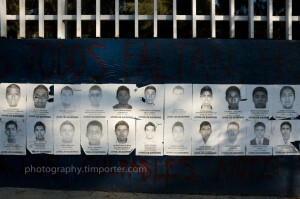 They are Mexico’s violent present. 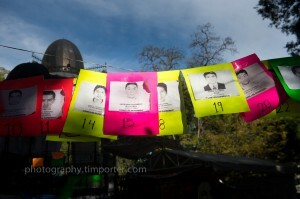 They are Mexico’s precarious future. 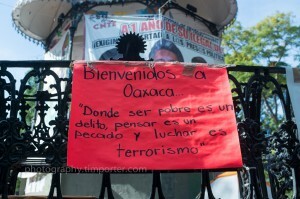 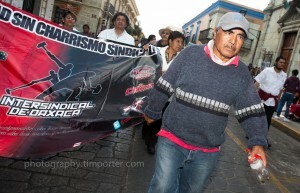 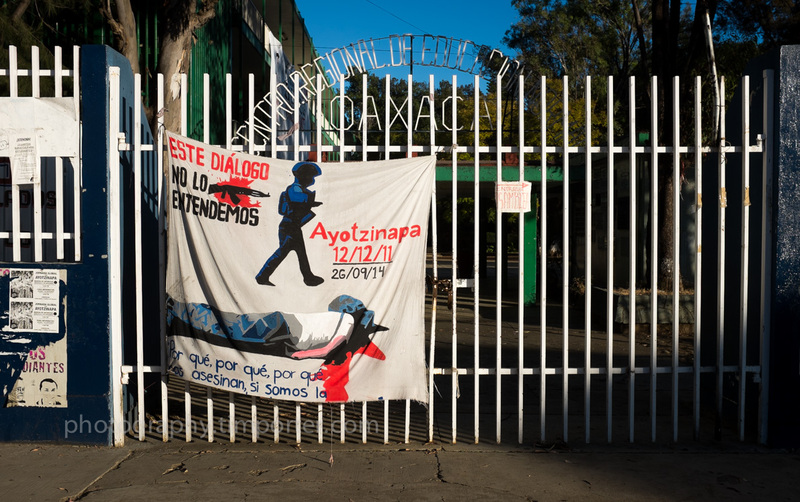 This entry was posted in Mexico and tagged 43, Ayotzinapa, Iguala, Mexico, Oaxaca, zocalo.